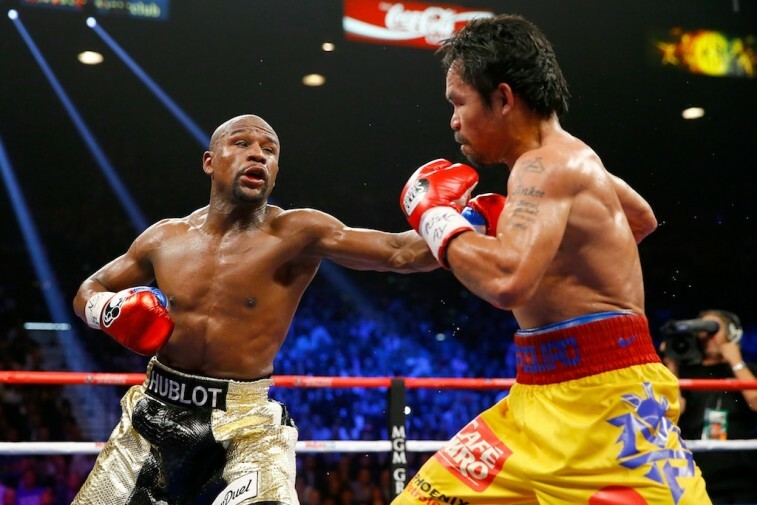 Will Anyone Ever Top Mayweather and Pacquiao’s Fight Revenue? 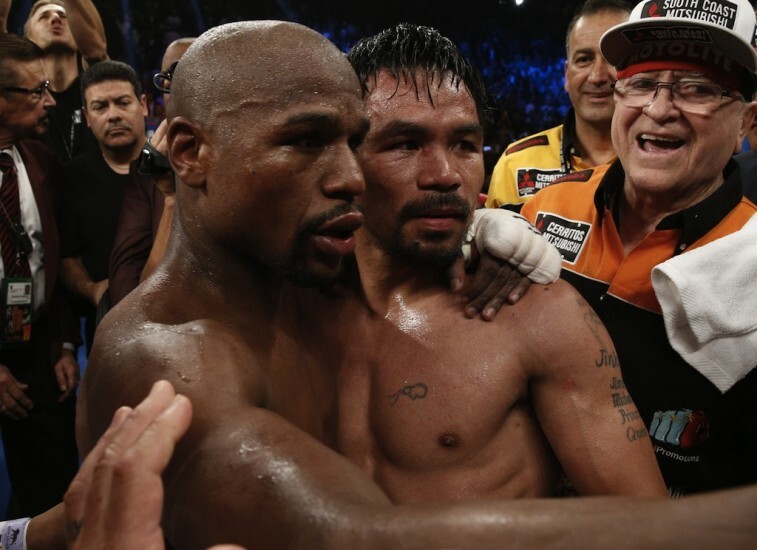 If records are made to be broken, then Floyd Mayweather Jr. and Manny Pacquiao, with their May 2 welterweight title unification bout, took that saying to an entirely different level. Some will claim the fight between the sport’s two biggest names didn’t live up to the expectations. And if those people were expecting an all out slugfest, then they’d be correct — this fight was certainly not Rocky Balboa versus Ivan Drago. This was a master class in precision boxing, one that saw Mayweather pick his spots en route to a clear unanimous-decision victory. Events of this magnitude — with its five-year buildup — rarely satisfy. Yet that doesn’t mean folks won’t tune in. And because that is the case, aside from maintaining his perfect record, Mayweather got exactly what he wanted from this affair: money. This fight was predicted to generate upwards of $400 million. However, based on reports that this event crushed the all-time boxing records for pay-per-view buys, pay-per-view revenue and totals from the live gate, it looks like that number will be eclipsed as well. Prior to the May 2 event, the most money ever generated from a live gate was $20,003,150. This figure was reached in 2013, when Mayweather took on Canelo Alvarez in the junior middleweight title unification bout. 16,146 tickets were sold for that affair, and Money Mayweather came out on top. This fight with Pacquiao blew that figure out of the water. On Tuesday, according to figures released by the Nevada State Athletic Commission, this fight generated $72,198,500 from the sale of 16,219 tickets. Considering both these events took place at the MGM Grand Garden Arena, and had a similar number of tickets sold, how was Mayweather-Pacquiao clash able to generate so much more money? Just look at the crazy range of ticket prices for this May 2 mega-fight. “…$12.26 million came from the sale of 1,226 tickets with a face value of $10,000. Another $11.955 million came from the sale of 1,594 tickets in the $7,500 range. “The most money — $24.67 million — came from the sale of 4,934 tickets in the $5,000 range. Another $14,143,500 came from the sale of 4,041 tickets at $3,500 apiece. While these figures are insanely impressive, the real money was always going to come from the pay-per-view buys. And that’s exactly what happened. Yet, no one could’ve predicted the numbers would turn out to be this good. 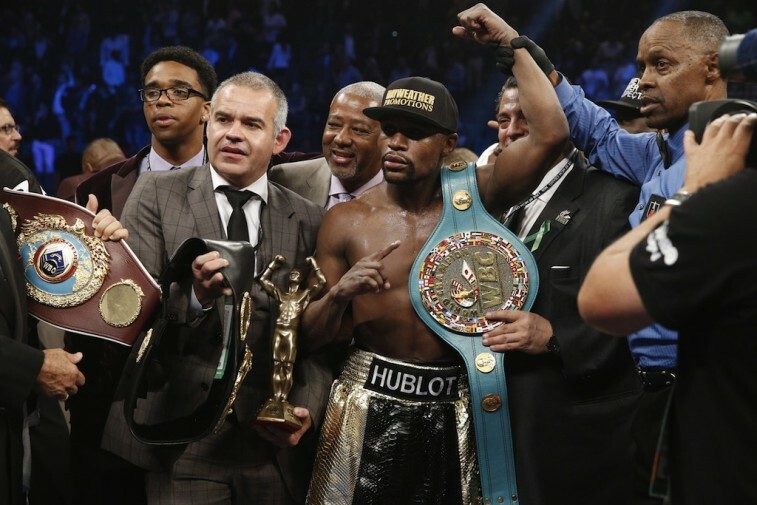 The final tallies, with regard to the pay-per-view buys and pay-view-revenue, are not in yet. But according to the initial reports from Showtime and HBO, the Mayweather-Pacquiao fight had 4.4 million pay-per-view buys (in the United States) and generating over $400 million in revenue. You’re not reading that wrong. These are actual figures. Not even Top Rank chairman Bob Arum saw these numbers coming. We don’t think there are enough superlatives to properly describe what this fight has done from a financial standpoint. You can chastise Mayweather for his arrogance, you can question Pacquiao’s misrepresentation of himself, you can even complain about the lack of entertainment inside the ring, but you can’t deny the business savvy of all parties involved. Money Mayweather got the belts, both fighters (and their people) will cash in, and without a rematch, there’s no way any other fight could possibly generate this sort of outcome. All signs point to this being the end of the blockbuster fight. Of course, given Mayweather’s track record, we wouldn’t put our money on that.